Hi, welcome to Slash Guitar Page! This page is dedicated to Slash, one of the biggest guitar players off all time! I hope you'll find here all you ever wanted to know about the technical aspects of Slash's guitar playing! This is an unofficial site and Slash isn't involved with this page. My name is Rui and all the sound files you'll hear here are played by me or by Slash Guitar Page collaborators. guitar techniques. All the texts contained on this site were written by me except some articles on the Articles section which are identified with their source. Anyway, this is my way to show him my grateful for all that great music that he as created through all this years! need to extract them before you can play them. Since this page is exclusively focussed on the technical aspects of Slash's playing it can't be updated very often. This page is updated monthly. The recommended resolution to view this page is 1024 x 768 Slash Guitar Page email has changed!!! Please update it on your contact slashguitarpage@yahoo.com Don't send emails to the old email address as I won't be able to open them. By the way, keep posting and checking the Slash Guitar Forum, see you there! the page grow but it's getting harder every time. register yourself there to discuss everything about Slash's guitar techniques with other fans! new mp3's from bootlegs are added so make sure to check it out!!! about it. It'll sure worth downloading, that bootleg sounds like a live record! - Added the last video from the Mike Wolf instructional video on the Videos section! channel from 26/03/03 on Videos section! 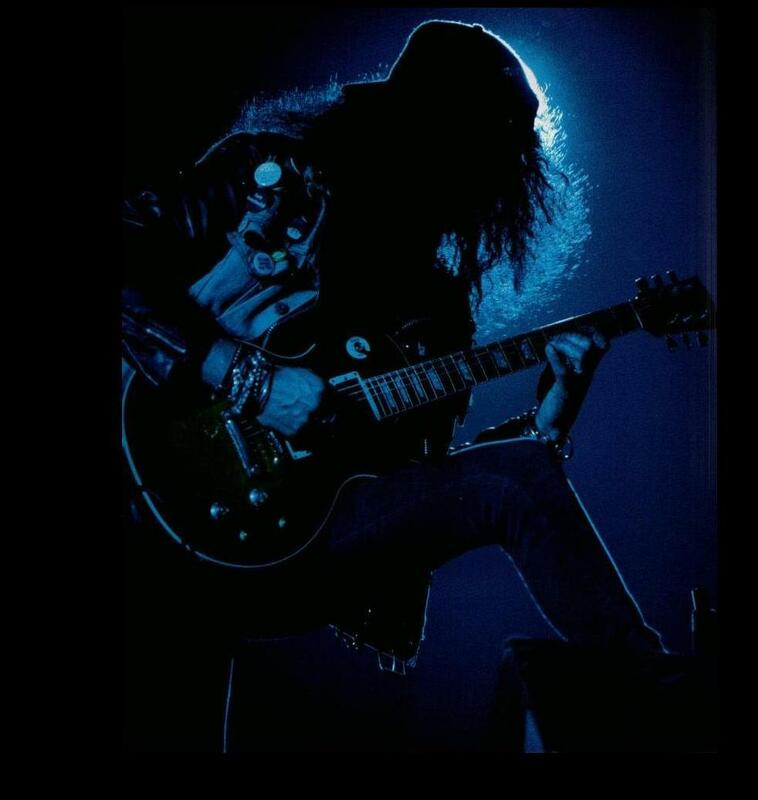 Slash Guitar Page previous updated - 7/12/02 - Added the info of Mark Ooi (from Singapore) on the Fans! section! Appetite For Destruction tab book on the Tablatures section! - Added more two Mike Wolf instructional videos on the Videos section! on the Rare / Unreleased Songs section!